You are never to old to learn. You are also never to old to play. So why not combine the two into a powerful and fun way to learn more about the use of Scrum. With the use of Lego teams can experience through play how the Scrum framework works. 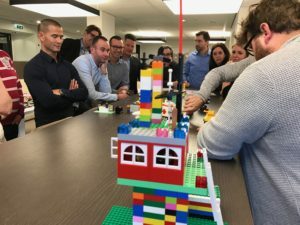 There are various forms of Lego4Scrum, from a beginners first steps into the new way of working to mature teams who can test their knowledge within a simulated environment.